Hi all, hope the sun is as radiant as ever wherever you are! 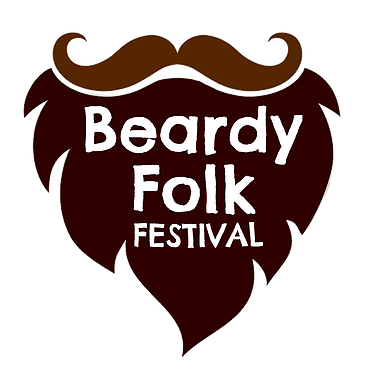 In Shropshire and it’s first year Beardy Folk Festival is looking like a stand out event. You might often hear us wax lyrical about festivals, but this one is particularly special. First of all, the artists. For the first of it’s kind it has attracted a good, wide beardy net of well known folksters. For starters you have “Skerryvore”, “False Lights”, “Kathryn Roberts & Sean Lakeman”, “Grace Petrie”, “Granny’s Attic”.. the list goes on. Pretty much everyone and their dog is going so it seems like there is a great opportunity to see some big names and hang out within a 19th Century walled garden (this does seem like a very nice dream). But it’s not just that, there is a nice selection of other activities too. Lots of stuff for children (under 13’s go free), enchanted woods, storytelling, and for a adults freestyle yoga, a cocktail bar and real ale. There should be plenty of fine things to eat too if you get fed up of beans on the camping stove! Anyway.. the festival begins on 22nd June 2018 and ends on 24th June 2018. In the meantime get yourself to the website here, and check out in more detail! In anticipation of the festival, ourselves and our fellow lovely blog “Last Night I Dreamt of” (http://www.lastnightidreamtof.co.uk/) reached out to some of the artists for some interviews. At the forefront of Folk Festivals for the last year or two, we have to admit we haven’t yet heard their set. Boo.. I hear you say, but we are hoping to rectify that this year. Sounding positively interesting and wide reaching, False Lights are playing on the Main Stage at 10.30pm on Friday 22nd June. For further information on False Lights visit http://falselights.co.uk/harmonograph. In addition, Jim Moray will be playing on the Main Stage at 7.30pm on Saturday 23rd June. Jim from False Lights: False Lights was formed by Sam Carter and Jim Moray to try to play traditional songs and the 90s guitar music we’d grown up with at the same time. We invited some more of our favourite musicians to join us and released our first album Salvor in 2015. People seemed to like it so we thought we ought to to keep pushing further and our second, Harmonograph, was released in February. Jim: Space folk guitars fiddle. Marmalade. Jim: With two albums to draw on we get to choose the most enjoyable songs for every set, but I think we all love to play our customary set-closer Crossing The Bar. Its a poem by Tennyson, set to a church/anthemic/samba arrangement and ends with a 16-bar drum solo which is the most uplifting way to play a song about positivity around death. Jim: Everything we’ve seen of the festival so far looks really exciting, so we hope to be able to bring what we do to a like-minded audience in an idyllic location. Because Beardy Folk is a new festival there is a great opportunity for the audience to help define the feel of the event and shape the direction it takes in the future. Finding new ways to showcase our kind of music is what we live for, so we’re incredibly pleased to be invited to play. Jim: Our friends Kathryn Roberts and Sean Lakeman, Jess Morgan and Kitty McFarlane are all great. And, as we said above, this band grew up in the Britpop years so its only right that we go and see Chris Helme. Jim: We’ll be playing a few shows in the autumn and spring. Sam and Jim both have tentative solo albums out in 2019, and then we’ll regroup again after that to try to push the ideas we have in False Lights further again. There’s loads that we want to do, the difficulty is just in deciding which to devote the time to. But that’s the best kind of problem to have! We saw the Joshua Burnell Band last year at “Beverley Folk Festival”. It was pretty much music to go questing to with it’s rather epic, catchy melodies and steel determination of the band to entertain. They are playing on the Main Stage at 1.30pm on Saturday 23rd June. For further information visit www.joshuaburnell.co.uk. Josh: Matt is responsible for the lower end of our frequency range, and has been for every other band in York at some stage. He’s from Texas and makes a wicked potato salad. Frances ‘Fe’ Sladen is the one with the magnificent voice that makes everyone stop what they’re doing and listen. She also looks scarily like me when we both wear sunglasses, which has led to the band game of ‘Is-it-Josh-or-is-it-Fe? !’ involving tour photos and a catchy theme tune. We’re fairly certain we’re not related, which is just as well, since we’re getting married in August. Nathan is like Brian May combined with Steve Hackett. Even though he is the band member with the highest centre of gravity, he loves a good stage dive. Holly is the latest addition to our band. She’s a superb fiddle player and very friendly and at the time of writing this, I’ve only met her twice. I’m sure I’ll have much more to say about her in July. Ed’s an ex-policeman, and now full time Dad and drummer. He told me to tell everyone that he’s ‘dangerous’ and certainly not a ‘cutie’ or ‘sweet’. And I’m a part-time primary teacher and part-time dreamer, and spend most of my efforts trying to find ways to pull everyone else into my dreamworld with me! Josh: Energetic, ambitious, enthralling, fun, hopefully. Josh: Blackleg Miner. It starts off with a super-folky a cappella introduction and I feel like I channel Maddy Prior for a brief moment. Then, at the end, the whole band gets to rock out with blistering solos on electric guitar, fiddle, bass, drums and 30 watts of distorted Hammond organ, just as they have done for centuries throughout the folk tradition. I: What are you looking forward to most about performing at the festival? Josh: Whenever we play – or even just gather in the same room – we have such a great time. When there’s an audience, that translates and everyone in the room has a great time. I also just love being on a stage, making a massive, loud noise – who wouldn’t? It’s amazing to be part of a brand-new festival, so I think this is going to be one we look back on very fondly at the end of the year. Josh: Jim Moray does some beautiful things with traditional material, and since I’ve been doing my Seasons ‘song-per-week’ Project, I’ve had to get completely immersed trad music. It’ll be really exciting to hear some traditional ballads live, especially played by someone as accomplished as Jim Moray. Josh: Festivals, festivals and more festivals, then yet another album. A highlight will definitely be playing the main stage at The Great British Folk Festival in December. It’ll be one of our biggest audiences to date, and we’ll be playing stuff from the next album; The Road To Horn Fair. Eric Sedge is seemingly like a meteor, he has made huge strides in a relatively short time. With quite punchy acoustic songs and the ability to hold an audience, he is playing on the Acoustic Stage at 4pm on Saturday 23rd June. For further information visit https://ericsedgemusic.com. Eric: I first arrived on the folk scene in 2010 as one half of a duo called “The Broadside Boys. We played a lot of gigs regionally in East Anglia at Folk clubs and festivals till Mat my partner, was diagnosed with serious illness and had to withdraw from gigging. since then I have been performing as a solo singer/guitarist. I am currently on my second UK tour as special guest of Richard Digance. Eric: Three chords and the Truth! Eric: Oooh a bit of a toughie! Probably the songs in which the audience are encouraged to sing along to, at least on a good night it tells me that they have engaged with my performance and are with me…..which is a lovely feeling. Eric: The best thing about festivals is being able to play to a different audience, and having the opportunity to make new friends, but also to see other artists and be inspired by what they are doing. Eric: Even though I have seen Richard Digance play a hundred times I always look forward to seeing him perform. There’s always something to be learnt from watching a master at work! Eric: I am touring with Richard through to the end of the year, I also have some solo dates in Scotland in October, as well as Summer festivals including Cropredy in August, and the Great British Folk Weekend in December…..so lots to look forward to.